Ce fut un séjour inoubliable, et pour la beauté des paysages et pour la faune que l'on a vu. Merci à Julius qui connait très bien la faune, et qui est très clair dans ses propositions pour organiser au mieux l'emploi du temps. Le choix des lodges est parfait et la qualité de la nourriture inattendue... Bon, nous sommes des habituées des voyages, donc nous pouvons faire les comparaisons. Seul, un point pas terrible concernant, l'arrivée à Nairobi, nous avons dû chercher, poser des questions pour savoir où aller. (mauvaise organisation). Idem, pour la réception des billets d'avion pour Zanzibar (c'est vrai, nous n'avions pas l'argent tout de suite), pas de réception à l'aéroport de Zanzibar et compagnie aérienne pas fiable. Retard de 3h au départ, 2h de vol et non pas 3h1/2 tel qu il était indiqué sur le billet. Mis à part cet incident, Sky of Serengeti est d'un très bon rapport qualité/prix, et le point le plus important, par rapport aux autres organisateurs, nous n'en avons pas trouvé d'autres, est le vol intérieur d'Arusha au point de départ du safari dans le Serengeti. 1) le survol est magnifique car le pilote a volé le plus bas possible pendant 20 mn au dessus des plaines. 2) Cela permet de rester 2 nuits par lodge. Merci à vous tous et de votre gentillesse. 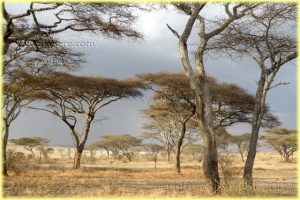 Sky of Serengeti arranged a personalised safari itinerary for me at relatively short notice. Right through the short planning process, which was mainly via emails and phone calls, they were very good and came up with alternatives and ideas to suit my content, time and budget requirements. I found their overall services excellent, very personalised and their vehicles were well maintained. My driver and guide George was polite, well informed, and made every effort to ensure that my holiday was well paced and enjoyable, with maximum wildlife sightings on all the safaris we did in Lake Manyara, Serengeti, Ngorongoro and Tarangire, using Arusha as a base. A Zanzibar extension was an added feature. 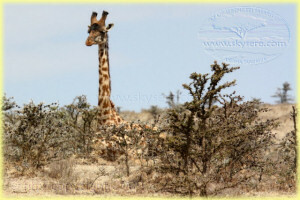 All in all a well organised tour and my main contact at Sky of Serengeti, Mr. David, was most helpful and responsive. 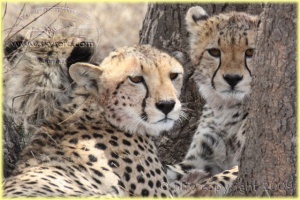 My wife and I, along with another couple we went on 2 week safaris in December 2008 with Sky Of Serengeti Safaris. 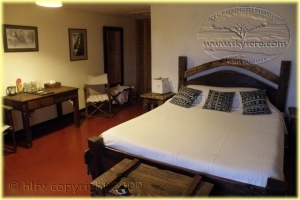 The company also arranged for Accommodations in Zanzibar 1night at stone town and 5 nights East cost. We had a wonderful time, were very pleased with all the arrangements, and would recommend this Company to anyone. Our Driver & Guide Julius were wonderful, and we were happy to be in a Land Cruiser Open roof for Game Viewing , We sow All big five and Cheetah, Impala, Baboon’s, Giraffe, Hyena‘s and lots of Birds!! Tim & Eunice - Ontario Canada. I would like to thank Mbonea (tour representative) and our safari Driver Guide, Gaspard for making my Tanzania Trip a fantastic one and full of African experience. Gaspard is an expect! He knows the Animals and how to find them and where. He knows their tracks on the ground as well as the birds. He is a courteous Driver Guide and very helpful. Always on time and has a sharp eye for Game and Birds and other residents in the National Parks. 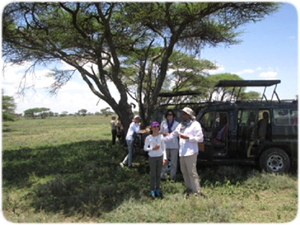 Thanks again to the whole Sky of Serengeti Safaris Team for making my trip so wonderful, See you soon!!! Jambo, quelques lignes pour remercier Sky of Serengeti Safaris pour la qualité de ses prestations et l'excellente organisation de notre Safari. Beauté des paysages et richesse de la faune dans tous les parcs, plus particulièrement à LOBO. 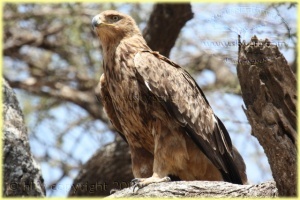 Une mention particulière pour notre Guide Julius qui, par son aptitude à découvrir les animaux nous a permis d'observer tant d'espèces diverses d'oiseaux, notamment dans le superbe parc de Tarangire. Expérience fantastique à Lake Natron avec non seulement le difficile trek au sommet de l'Oldoinyo Lengaï mais aussi l'hospitalité et la gentillesse des Maasaï qui nous ont fait redécouvrir leur région par de magnifiques balades autour du Lac. Que de souvenirs inoubliables accumulés pendant ces 20 jours qui nous ont permis d'approfondir notre connaissance de la faune, de comprendre un peu mieux la culture et la façon de vivre de la population, en bref de nous immerger dans cette région que nous aimons tant ! Asanteni sana à Stephen et Mbonea pour leur professionnalisme, à Julius pour sa patience, sa bonne humeur et ses qualités d'observateur, à Lucy pour sa gentillesse. Bravo à toute l'équipe ! Nous reviendrons bientôt ! le monde animal en sa plus belle forme et en communion avec la nature. Nous avons aimé les endroits, les gens, les hôtels, l'organisation et le professionnalisme de notre guide Julius. Félicitations et à bientôt. We are back and can't believe how wonderful the trip was. Tanzania were both beautiful yet different. Ngorongoro and the Serengeti are both spectacular in their own way. Our guides were wonderful, a pleasure to be with and did everything to make this so memorable a trip for us. We saw all of the big 5 !! Actually we saw so many many animals it is hard to believe. We even got to see the babies for almost all of them...now how great is that! The people everywhere were very nice. At the Sopa lodges the people couldn't do enough to make our stay a beautiful experience. The night safari ride at Sweetwater’s was outstanding...watched a lion stalk a Wildebeest. The black rhino visit was unbelievable. The trips to the native tribes villages was a beautiful experience. We hope that our enthusiasm, pictures and videos will we encourage others to go to Tanzania. 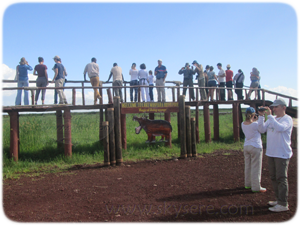 We surely hope to repeat this trip and will only do that with Sky of Serengeti Safari. Thanks so much for helping put together our trip of a lifetime. Asante Sana. 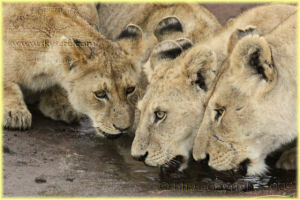 Just a short note to express our thanks and Sky of Serengeti Safaris to your staff on our recent trip to Tanzania. The experience was very much enjoyed and we would like to give particular mention to our guide David Charles, who's attitude, approach and service was excellent. We have and will continue to recommend your services to our friends and colleagues. I can't thank you guys enough. The Trip was fantastic. As a professional photographer, my demands are high for the quality of image, and for where i am placed to take it. Frank (my Driver) was fantastic, he understood light and shadow and how the sun moves and affects a picture. It seems like a simple thing but few people really understand it. He knew when to move on, and when to be patient, along he way taught me a little Swahili, and a lot about the flora and fauna of Tanzania. I came away with the best photos of my career, and some of the best memories ever. I will return to Tanzania, and I will use your company again. The service was a fantastic, and i will recommend you to anyone I can, any chance I get. It was absolutely great. The only thing that could have made it better was if my family was here to share it with me, but i was already in Africa for work and so came alone after my work was over. I have already promised my wife we will come here together, and when we do we will call on you, (and hopefully be able to book Frank again). Please pass on my sincere thanks to everyone involved. Thank you, Thank you! We were 98% pleased with the service you provided. The trip was an amazing Adventure. 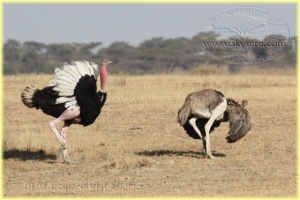 The parks - Tarangire and Serengeti both held their own individual wonders and charm. We felt comfortable and trusting of the itinerary you had planned and it came off perfectly, we were by no means disappointed, confused or otherwise left to feel that things were not what we were led to expect at any point. Our drivers were very different from one another, and both knowledgeable and accommodating to our questions, needs whims and desires. We loved the Serena Lodges (will never forget the Sausage tree...) the service, food, and entertainment they provided - and the atmosphere were both exquisite, again each lodge maintaining it's individuality and charm. The entire safari was remarkable and unforgettable. We, in fact, are intent on contacting the State Department to let them know how very wonderfully we were treated by all of Tanzanian people, and what an excellent experience we feel more American's should see to believe! Our warmest thanks for your excellent service, and our fabulous memories. We wish you continued success and much happiness! The trip was superb! Everyone in my family agreed it was our very best vacation yet and we have traveled many parts of the world. 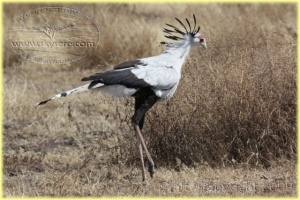 Saw lots of wildlife at close range and some wonderful places. Serena Hotels is a great partner for you. Their food was good, staff friendly, rooms clean, and quite luxurious. They deserve their 5 star rating. Your guides were very good. On time, well organized, and very friendly. Vehicles were clean and well maintained. Their English was very good and their knowledge of the different areas, the people, and the animals was good. Airline connections in Africa were trouble free and we were greeted at every new location by one of your staff members. All in all, a terrific experience. I would not hesitate to recommend it to anyone. We are back home and I want to assure you that our Trip was perfect. We could not have asked for more....and our Driver, David Charles, was the best guide that we have ever had in many years of hunting and fishing with professional guides all over the world. While outdoor adventures are not new to us, Tanzania was, nevertheless, the experience of a lifetime. Your organization did a superb job. Shift was most helpful and courteous and our driver, David, in Arusha was delightful. Serena Hotels and Lodges are the most elegant and guest-oriented accommodations one could ask for (although softer beds would be nice). 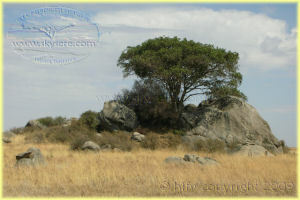 We will definitely be going back to Tanzania and wouldn't dream of booking through anyone but Sky of Serengeti Safaris. Thanks again for making my husband's Christmas present so perfect and if you are in touch with David, send our deepest regards. Thank you so much for giving my wife and me an unforgettable trip to Tanzania. Everything was great. Our guide in Tanzania(Frank) was excellent, and the lodges were great. We saw everything we wanted to see and so much more. 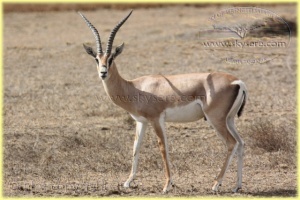 Thank you, and we will definitely recommend Sky of Serengeti Safaris to our friends and family. It is with great pleasure that I give my utmost recommendation for David Charles. 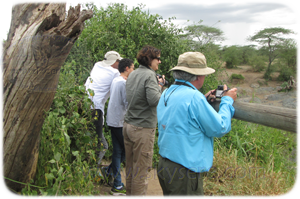 Davis is an excellent guide and brings with him a wealth of knowledge on African wildlife, tradition, and culture. 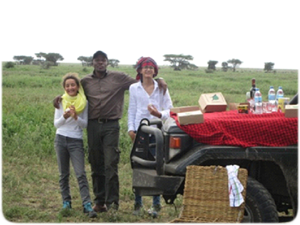 David succeeded in making our safari a memorable experience and added his personal touch whenever possible. His love for the native birds, as well as, animals was contagious. 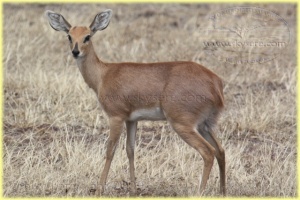 David is highly skilled in seeking and sighting African wildlife and takes personal pride in doing so. 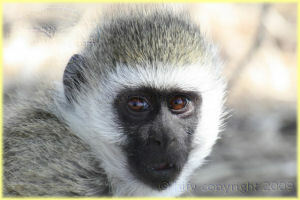 I would recommend him as a guide without reservation for your upcoming Sky of Serengeti. Once again thank you for giving me the opportunity to share my experience with others. 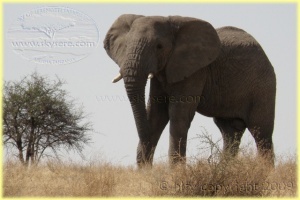 I toured Tanzania on a wildlife safari for several weeks under the guidance of driver/guide Anicet Philip . Although I have toured the world extensively, there is no doubt that this was one of the finest experiences of my life. 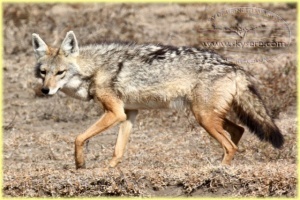 The thousands of animals we encountered, and the unbelievable close proximity to them were way beyond expectations. Anicet is very much at home with these animals, and has great admiration and respect for their well being. His knowledge of their habits is exceptional. He makes each client feel that it is their own, personal tour. And it is very important to him that you experience the excitement and awe of being in the midst of all of these wild creatures in a serene moment caught in time, while never sacrificing your personal safety. Anicet has made many new friends for his homeland. 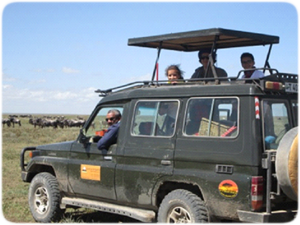 A safari taken with Anicet as a guide is a never to be forgotten adventure and a kaleidoscope of thrills! My brother Bill and I took the trip of a lifetime to East Africa to climb Mount Kilimanjaro and go on Safari in Ngorongoro Crater and the Serengeti Plains. Having traveled extensively all over the world as a young man it was a pleasure to return to Africa for the second time after a hiatus of more than 20 years. All the memories I remembered from my last trip came back to me over the two weeks. My greatest surprise was how much more enjoyable this trip was then my fondly remembered travels from so many years ago. 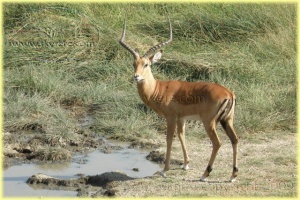 The biggest, and best, improvement was the wonderful ability of our safari guide, Stephen Mbwambo . What would have been a very nice adventure and trip was turned into something more memorable due to the ability, friendship and experience of Mbwambo . He has the rare ability to determine what it is that people enjoy and customizes the trip accordingly.